Good News for the Poor! In today’s Gospel Jesus said; “I have come to bring Good News to the Poor”. Learning and doing this work is at the heart of the call of God. “Let the oppressed go free”, Jesus says. There are many among us oppressed by poverty, unemployment, anxiety and mental distress. How blind we so often seem to the compassion and love of Jesus so urgently needed right here in front of our very eyes. Poverty is nothing new. It has always been with us and it always will be. It is into this milieu that Jesus states his purpose to the world; “I have come to bring Good News to the Poor”. It is a challenge to all of us to live that way. Today we celebrate how very much this congregation does day in and day out to bring good news to the poor. Your work among the young and old, the poor, the recovery groups, Love INC, and folks who find themselves at the margins of society, is a tribute to how seriously you take these words; “Learning and doing the work of Jesus.” This statement is a banner that we hold over the doorway as we enter this church week by week. That is who you are called to be. 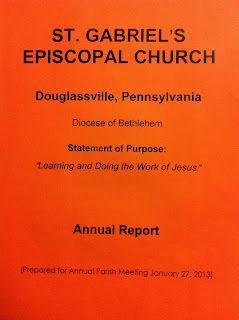 And this Annual Report gives expression, however adequately or inadequately to the work of the congregation. So many give sacrificially and generously to make so much happen in the Name of Jesus in and from this place. Let us celebrate the fact that we too have come to bring Good News to the Poor. For me this past year has been a pure joy. Since the Great Feast Day of Blessed Patrick we have formed quite a formidable team for Jesus. I am so grateful that God has called us to walk these weeks and months together. I am proud of the way we have rebuilt our music program, how we have cared for young and old alike, and how we hardly skipped a beat as we continued the work of all your myriad ministries. I am especially pleased with how well you have responded to the call to rebuild our membership and how many of you have completed your membership forms. We must continue that work and each of you has God’s blessing and encouragement to invite others among your family, friends and neighbors to come and dwell with one another and with Jesus as we continue to learn and do the work of Jesus. And we made up the deficit by virtue of your generous response to the Summer Effort and a strong Christmas. And when I called on you to help your sisters and brothers through the work of the congregation’s Discretionary Fund, again you responded liberally. We have also faced into the sadness of loss this year. We knew it was coming, but we are never really ready when the other shoe finally falls. The loss of Cal Adams is a painful reality, even for me who knew him for so short a time. How loving and kind a man. How devoted and driven he was as a great church builder, not just for the fabric of these walls but of the content of the character of the heart of this church. The work of our recovery groups is as much a monument to his ministry as is the Keystone Villa, The Good Shepherd Learning Center or the Parish Life Center. Your goodness and kindness of heart are a tribute to his ministry in your midst. And so as the Prayer Book says, “May this soul and the souls of all the faithful departed, through the mercy of God, rest in Peace and may light perpetual shine upon him”. And now we really must turn our attention to yet another and more permanent transition. It has been quite a while since Cal’s retirement. We are now working on three years since that time. If you are annoyed with the snail’s pace at which the church deals with transition ministry, I can assure you that the clergy share similar feelings. In the old days, and I have the ability to use that expression advisedly, we had what we called “The Old Boy Network”. 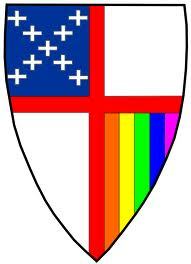 Obviously we have to add the other gender to that turn of phrase to reflect the church’s inclusiveness. We were once a much more proactive church when it came to clergy recruitment and deployment. I am personally convinced that to leave this matter up to chance and to posture ourselves in a reactive a way is deleterious to our common life. I believe that the church in general must get proactive about transition, and more especially in our specific case. For the sake of the wellbeing of the church, we must discover who it is that God has called to become St. Gabriel’s next rector. In the meantime, I promise you; I will give you my level best to be your priest. By now you must have a pretty good idea who I am; just a “simple” parish priest. For me, my marching orders are to celebrate this church as it becomes more and more a “House of Prayer for All People”. 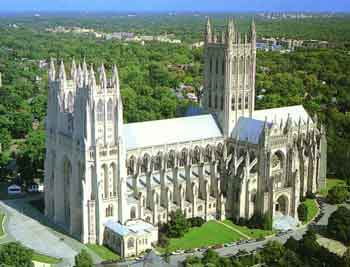 I once saw those words across the great west doors of the National Cathedral when I was a boy. Not realizing they come from the 56th Chapter of the Book of the Prophet Isaiah, not realizing that they were repeated by Jesus at the dramatic climax of his ministry at the cleansing of the Temple, I found those sacred words to be at the heart of my own ministry. My wife will tell you that I don’t need much of an excuse to celebrate. In fact, like many of you, I am old enough now to celebrate if, when I wake up in the morning , I can see the ceiling and my name is not in the morning obits. I’m a happy man when I awaken to greet the new day. Cindy’s grandfather was a stonecutter from Carrara, Italy; where some of the finest stonecutters in the world were born and nurtured. When he woke up in the morning he’d take the newspaper and a cup of coffee and he’d count up the dead Irishmen and the dead Italians and so long as there were more of the former, he’d let out a holler and tell his wife; “We’re ahead!” For him it was like seeing if the Red Sox or the Celtics won the game the night before. There’s always a good reason to celebrate! And so it is that we come to today's Gospel passage where Jesus found himself in one of the greatest celebrations of a human lifetime; a wedding in Cana of Galilee. I remember our wedding day. It was the last time on this side that my whole family, as I remember it from my childhood, was all together in one place. Cindy’s whole family was there too, and that number dwarfed mine. Our best friends were there and there was that one memorable table where things got a bit out of hand after a bit of an excess of liquid indulgence. That, of course, was a group of my friends. 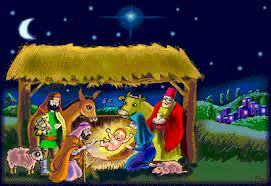 So here we are likewise, with Jesus and his friends and family. It is early in his ministry as we are early in the church year. Just last week we celebrated the Baptism of Jesus in the Jordan River. Now we find ourselves in Cana of Galilee, a town nearby Nazareth. Things were going strong when the unthinkable happened. They ran out of wine. Mary, the Blessed Mother, tells Jesus. Then Jesus uses the most respectful form of the word “woman” that there is in Aramaic, the language spoken by Jesus and his contemporaries; a word that suggests the sense of “my beloved” the same word used for wife, and he reminds her, “My hour has not yet come”. His ultimate Epiphany is yet to come. Here he reminds Mary, later he has to remind his disciples again and again. He is here to be handed over into the hands of power and violence, to be tried, found guilty, even though perfectly innocent, to die a torturous death, and then to rise again for the forgiveness of this very violence (another word for sin), and then as a free gift to us all, for our eternal life. He has probably already explained this to Mary. He will later explain it plainly to his disciples. “Do whatever he tells you”, she tells the servants. Then he tells them to bring him the jars used in the Rites of Purification. It is as if Jesus were sanctifying that solemn moment when we commend ourselves to one another in love and devotion for the rest of our lives. How pure is that! How sacred is that moment when, in our youth we declare our love for one another, and live out that declaration for the rest of our days. At least that’s the theory. It works itself out in varying ways then as now, but the intent and the hope are pure. God knows Jesus can redeem us no matter how far we fall from that blessed estate. So they do as he bids. 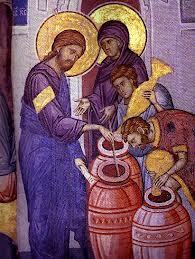 They bring him the jars used in the rites of purification and, as instructed, they fill them to the brim with water. “Now draw some off”, Jesus tells them. Not so here. This vintage is of God. It is the very best vintage of all. God honors the wedding guests with generosity. The party continues. 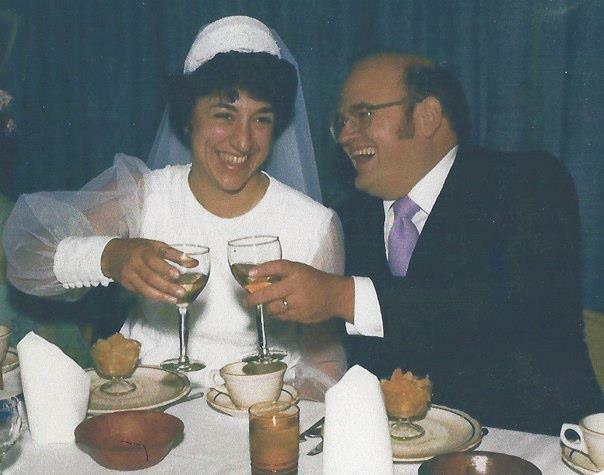 It is such a memorable celebration that in the wake of the death and resurrection of Jesus, his first miracle is recalled by the early church because the imagery of marriage is central to the Proclamation of the Gospel itself. Jesus is the Bridegroom and the Church is his Bride. We are the beloved of God. He, like any man or woman worth his salt will give his life to protect his family. And so he did. Our enemy is human violence, aka “sin”. That which is within us that seeks to destroy ourselves or others needs redemption. We need this salvage operation. And as we come to Jesus, one by one, week by week, altar rail by altar rail, that salvage work continues all the days of our life. After all the only thing that can effectively deal with that predisposition to violence is the love of God and the love he demands of us for one another. Wonder of wonders God’s salvation plan is for everyone. This marriage is not just for one sort, it is for all. Just this week the National Cathedral announced that all legal marriages will be celebrated there. For God’s sake lets celebrate that! But as we celebrate that, lets not forget those who cannot love everyone. There is a young man I would like to ask you to pray for this week. His name is Terrance. He died on Monday. He couldn’t take it. I mean, there were those who felt they needed to “out” him. He lived in West Virginia, and one of my son’s friends knew him well. I can tell you from personal experience that there is an exception for many to love those like Terrance. There are families, schools, workplaces, and yes, even churches where some folks cannot embrace people like Terrance. And yet there are so many, like Terrence, who have given the church and the world so much art, literature and music, how could we do anything but thank the likes of Terrance. As Blessed Paul, the Apostle to the Gentiles put it; "There are many gifts, but the same spirit." For all too many God’s grace does not always embrace people like Terrance. It cannot embrace two of my own sons who happen to be like Terrance. It cannot embrace Charlie, a dear friend of my sons and a dear friend of Terrance. Charlie tells me he was a good guy. This kind of restriction on God’s love gives the Church a bad name. And as the prophet said in today’s first lesson; “For Zion’s sake I will not keep silent.” So too for Terrance’s sake, I will not keep silent. How priceless is your love O God”. So says the Psalmist today. Therefore we celebrate with Jesus at the Wedding in Cana of Galilee. We celebrate with Jesus who invited common fisherfolk, tax collectors, prostitutes, lepers, eunuchs, poor folk, prisoners, and all other sorts and conditions who live at the margins of this and all social orders in every age. Interestingly enough, these very people were driven away from the Temple. The Pharisees, the Sadducees, The Scribes, and the Doctors of the Law, why the whole Sanhedrin; all these biblical literalists of the day looked askance at Jesus for the company he kept. 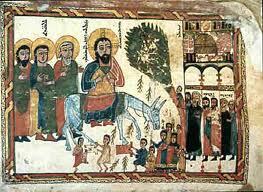 And yet it was all the above he brought to the Temple precincts at his triumphal entry into Jerusalem; these very same sorts and conditions who spread palm branches at his feet as he rode on in majesty on a common donkey. You know, we have done the right thing. We are embracing the teachings of Jesus. We believe that all people are included within God’s saving embrace. 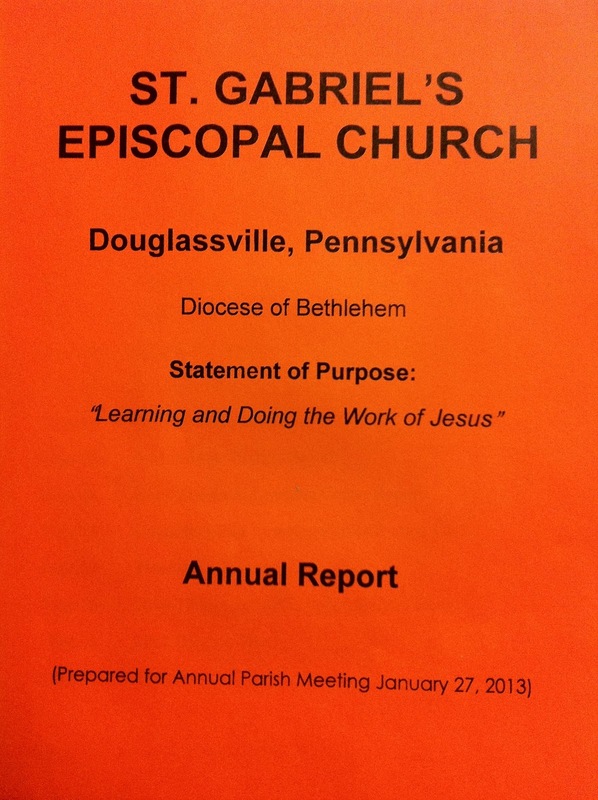 Now, all can enjoy the benefits and responsibilities of membership and ministry at every level in the Episcopal Church. Granted we are a tiny percentage in the world of faith. But we are not here to be successful. We are here to be faithful. God will reward such faithfulness as many will be drawn to this total and unconditional love. So then, lets celebrate. Lets come to this Table of our God and feast with Jesus and all his friends. This is because Jesus is still alive in each and every one of you. For as long as you have the courage to love all God’s people there is hope in this tired and sin sick old world. One of my favorite TV Shows is Restaurant Impossible. Robert Irvine is invited into failing restaurants to evaluate the management, staff, menu and decor of failing restaurants. He then performs an intervention to bring the business back from the brink of failure to brisk and bustling business. What can be said of a restaurant can also be said of a home. Extreme Makeover is another popular TV show that tells the story of a family whose goodness compassion and need deserves a whole new setting in which to live our their lives. I'd like to see a show about making over tired old churches and congregations. But let that wait for another day. 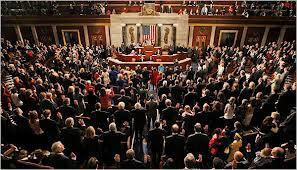 For now, wouldn’t it be great if we could find a way for us to do a makeover of Congress? Most of us, I’m sure have the feeling from time to time that an intervention of some sort is in line. When dealing with the fiscal cliff, the debt ceiling, spending cuts and tax reform, certainly intelligent human beings can come to some form of compromise that satisfies the greater good of all that will leave us at least moderately satisfied that we can all give an take a little. And too, the violence we see in the country at the hands of guns, rifles and assault weapons is such that we cannot go on without some kind of review of our public policy with regard to their possession and registration. In the weeks since the terrible massacre of children in Newtown CT, there has been some conversation about a ban on certain kinds of weapons. There is also a growing consensus that universal background checks might be in order so that even private sales, gun shows and internet sales should require an evaluation of an individual’s fitness to bear arms. The fact is over 11,000 are killed by guns in the United States every year. The number killed in other western industrialized countries is democracies is not in the thousands but in the hundreds. It might make good sense for us to take a look at what they do to control gun violence and apply those learnings to our own national setting. But then the debate is less a conversation as in so many other polarizing issues that face us as a nation. 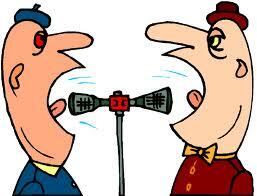 It is rather a shouting match. Nothing inspires intransigence more than this one issue. There is almost no willingness to compromise in certain quarters. This past Sunday we marked the Baptism of our Lord. We celebrated the moment when Jesus went down into the water and emerged to hear the words of God; “This is my well beloved son, listen to him”. Jesus and his advance man John the Baptist require all of us to be Baptized. Baptism is at the very least an extreme makeover. It picture human nature being turned inside out and upside down in a way that is itself almost Nature Impossible. In the early days of the church’s life, we were subjected to persecution and martyrdom. But none of murders led to our death as a movement. Instead the church grew and prospered as hearts were changed to see the courage we had as Baptized Christ-like persons. Unfortunately after the Edict of Milan we too became an all to familiar force for violence in so many places on the planet. Thousands have paid with their lives in the Name of Jesus. And too in the Name of Allah, and in the Name of Yaweh. Baptism is an extreme makeover. It is human nature impossible. We are told in today’s lesson from the Acts of the Apostles, that it was not enough for the Samarians to be baptized in the Name of Jesus. James and John were sent to them so that they could be baptized in the power of the Holy Spirit. In the fullness of time the church came to understand that baptism must be so complete, so full, so comprehensive, so total, so extreme, if you will, that it must be done in the Name of the Father and of the Son and of the Holy Spirit. Samaria, a different kind of place. 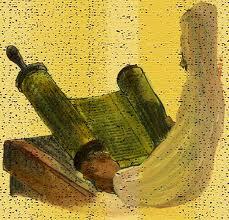 The faith they held there was considered to be an apostate faith by many of the orthodox faithful Jews of the day. But to the early church they were considered part of the salvation scheme of God. To Baptize them meant that they too could be part of the Peace of God that passes all understanding. A peace that turned its back on the violence. 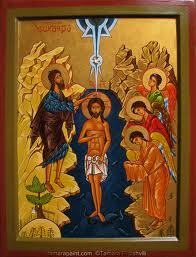 It became the custom of the church to Baptize in the Name of the Father and of the Son and of the Holy Spirit. This is the requirement of the Episcopal Church; namely that we baptize with water and in the Name of the Holy Trinity. The Sacred and Holy Trinity calls us into the Creative, Saving and Sanctifying work of God; God the Father, the Savior, God the Son the Savior, and God the Holy Spirit the Sanctifier, the Gift Giver, the Holy Wisdom from on High. Baptism is then an extreme makeover for all. It is almost impossible to live in the nature of God, when we are born to live in the nature of humankind. History is the chronicle of organized violence, nation against nation. When Jesus came to live among us, he became our victim and suffered and died at our hands. This is why his baptism means so much to us, because he and John before him called us to repent, to an extreme makeover and be baptized ourselves. If you think Congress needs an extreme makeover as I do, let it begin with you and me. I do not need to tell you from this place what I think needs to happen with regard to the issue of gun control or the fiscal cliff, the debt ceiling or any other issue that is so urgent. If you live in the Douglassville/Amity Township, Reading area your Congressman is Patrick Meehan, a good Irishman. Give him a call, email him. Tell him what you think. If you live in the Pottstown, Wyomissing, Birdsboro and Boyertown area your Congressman is Jim Gerlach. By the way, you sure have Gerrymandered the map of the 6th and 7th Congressional Districts of Pennsylvania. But I am in no position to point fingers at Pennsylvania when it was Governor Gerry of Massachusetts who signed into law a district that looked like a salamander. Hence the term “gerrymander”, coined as it was by the Boston Evening Transcript in 1812. Tired of the violence? Make peace. Tired of well funded lobbyists with undue influence with our elected representatives? Does your Baptism matter? Make some phone calls. Tell them and tell them again. And don’t give up until they listen or until you elect someone who will listen. Then in the Name of the Father and of the Son and of the Holy Spirit, I remind you of your Baptism, or your extreme makeover. Now, go and make over Congress; and extreme makeover. The Children of Sandyhook are waiting for you to speak up for them. By the way the Congressional switchboard is (202)224-3121. Seldom loving like The Child. With barely a breath left to breathe. Lost all hope of ever hoping again. Still alive in this breath we breathe this night? Wondering if we dare to hope again.